What turns an angry anti-social into a vandal? Frustration. An inability to channel anger into something useful. Is it significant that expletives against the PAP be spray-painted 22 storeys up on an HDB block? Not really — similar sentiments have been expressed online. 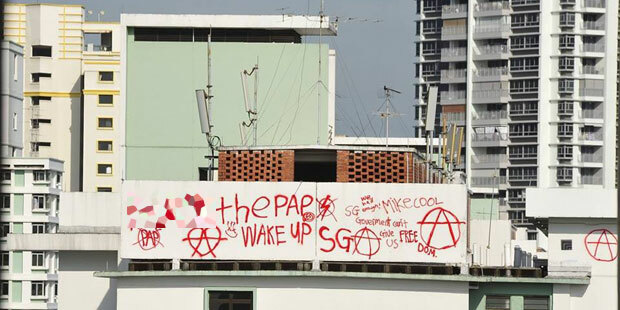 What makes the Toa Payoh rooftop graffiti different is its location and size. Such physical expression is a lot less sinister than computer hacking — but a lot more dramatic because of the simplicity of the expression. 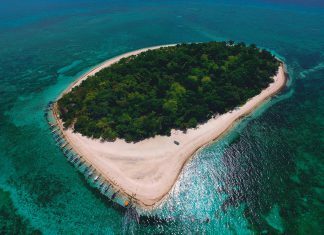 Calling on Singaporeans to stand up against the PAP is standard social fare in an erstwhile tightly-controlled political environment which the Internet has liberated. There is a way, however, to channel anti-government hostility into a more constructive format — let’s have a Democracy Wall. But what if there are libellous postings? Who would police the postings? Civil rights advocates, for one. The point is, Singapore is noted for coming up with its own solutions to social problems. We should be big enough to deal with such social hostility.